When the MCU started in 2008 with the much loved Iron Man and burst into popularity beyond human with 2012's ensemble Avengers, many studios are...hang on, I think I've said all this before. Perhaps because so many studios are trying to create shared...no, I'm doing it again. Um....well, yeah, as we all know and has been said dozens and dozens of times, studios are now out to create shared franchises of their own in order to mimic the success of their rivals. For comic books and Japanese monsters who have overlapped in past media it makes sense to an extent, but now the strangest of them has come to fruition. This year's The Mummy is not just a reboot of the classic franchise, but the start of a new franchise that will fuse together numerous other horror stories - little to no visible effort is here outside of said franchise building, sadly if unsurprisingly. 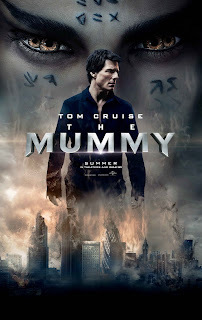 Tom Cruise stars as fortune seeker Nick Morton who, alongside his friend and partner Chris Vail (Jake Johnson), stumbles across a historical tomb following their assault on an Iraq village - with the aid of archaeologist Jennifer Halsey (Annabelle Wallis), the tomb is recognised as a prison of sorts dating back to thousands of years prior. Following a brief exploration, a strange curse begins to spread, starting with Vail, and awakens the imprisoned mummy Set (Javier Botet) - leading to a battle to stop her long awaited revenge scheme before it's too late. The story sounds cool and, if I'm honest, as the film started off and continued going, I struggled to see what most people found so bad about it. The acting is solid, with a decent blend of humour and genuine tension, and the set pieces certainly entertaining to watch - even if they can be headache-inducingly loud even by IMAX standards. The key flaw from the beginning and one that worsens as the film progresses, however, is just how unfocused the overall story is; there's a brief opening to explain the history of the aforementioned villain Set, an appearance by Russel Crowe as scientist Dr. Henry Jekyll, before we shift our focus to Nick Morton and the others around him for a large portion of the story. Crowe's character finds himself absent for a strange amount of time, his name barely even mentioned, making him feel somewhat irrelevant to the overall story - him and the actions he spearheads serve almost no purpose other than to desperately construct this shared universe mythology. Perhaps another flaw as well extends from my previous compliment of the film nicely blending humour and tension - this is true from the beginning and as we near the middle, but soon enough some truly dark set pieces begin to emerge, with situations that persistently put the characters lives at stake. The sad thing is, through a combination of poor writing and iffy acting, the characters lack any worry or shock in these situations, treating them more like cheesy playground fights. Indeed, it can feel hard for the audience to engage with what attempts to be tense and sometimes frightening action scenes when the characters themselves are often making corny battle taunts or comedic screams - said CGI in these scenes can also be a bit shoddy, sometimes looking obviously segue with the environment around it. The performance of Javier Botet as Set is decent without much flaw, however it's not exactly memorable simply because the character is so underdeveloped throughout - once we near the climax, it's sometimes hard to actually make sense of who the main antagonist is and for what reasons. 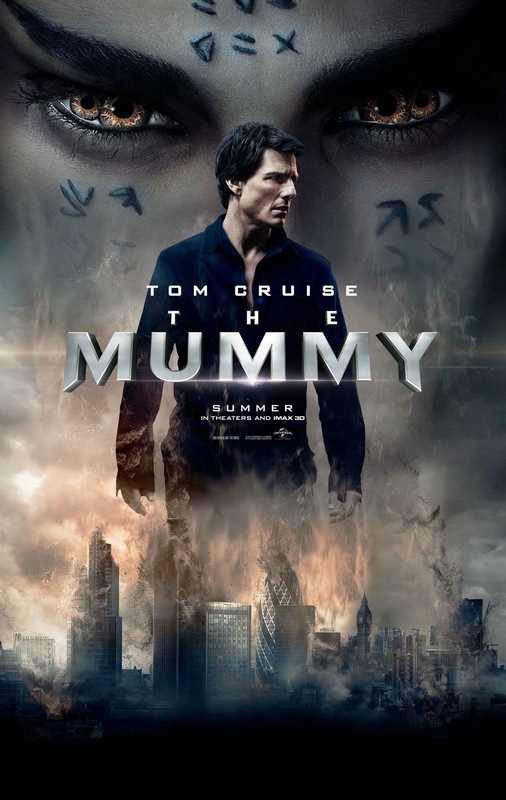 The Mummy is not without it's good moments, and can be fun to watch at times, but it's persistent focus on epic set pieces over genuine story and character development makes it feel like both a generic, lifeless action film and a painfully lazy attempt to craft this shared series as fast as possible.